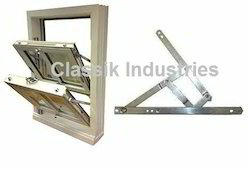 Pioneers in the industry, we offer wooden window friction stay, upvc window stay friction hinge and restricted window hinges from India. 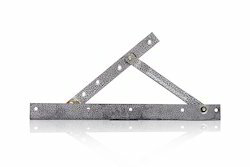 The Restrictor Friction Hinge is a simple and effective way to restrict the initial opening of a window to a maximum of 100mm, in accordance with BS8213-1:2004. It is able to withstand the load bearing forces required in BS EN 14351 and BS6375-2. The unobtrusive mechanism, which is integral to the hinge and designed to be less tempting to children, requires a level of dexterity to operate and two hands are required to coordinate opening, giving added protection. An automatic reset facility ensures safe operation at all times. 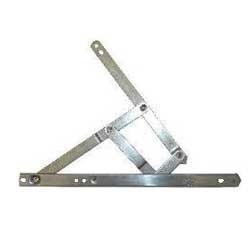 Looking for Friction Stay Window Hinges ?